Step right up! Get ready for a good time for all! 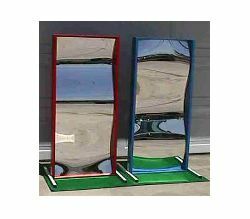 These Fun House Mirrors make a great carnival attraction for a school festival or event or just to see yourself in a different light. Rent up to 6 for more fun!